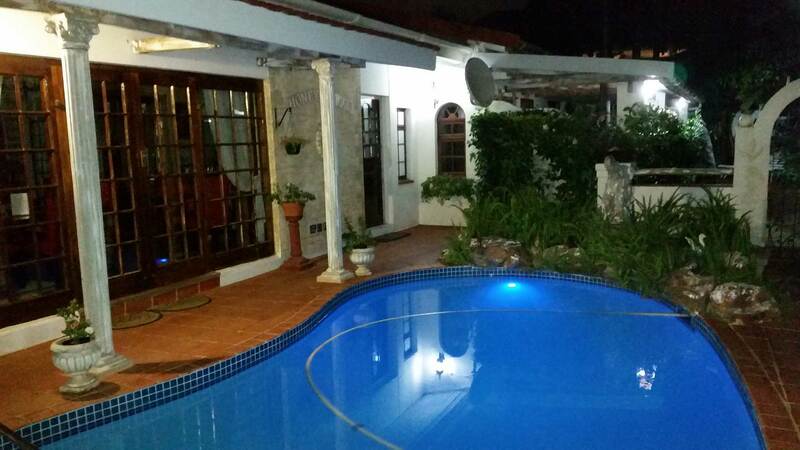 11 Hilken Drive, Umhlanga Rocks, Kwa Zulu Natal. South Africa. “Honey Pot” offers a “home from home” holiday for the whole family with full English breakfasts, or, continental with fresh fruit, muesli and hot croissants, served with steaming coffee. Individual private entrances and patios,en suite bathrooms, air-con, satellite, TV coffee/tea-making facilities. Clean towels daily and there is a daily maid service.